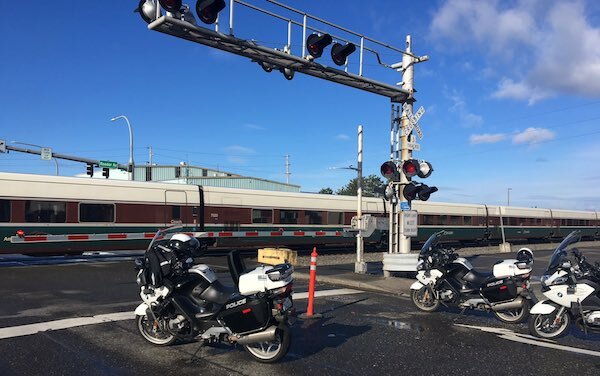 A male bicyclist was killed in a collision with an Amtrak Cascades passenger train Tuesday morning in Bellingham, according to police. The incident occurred around 8:30 a.m. on F Street between Roeder Avenue and Holly Street. The train, Amtrak Cascades 517, was traveling from Vancouver, B.C., and was due to cross the intersection on its way to Seattle. Police say the electronic arms had come down alerting the train’s arrival. The Bellingham Herald states that due to active construction in the area, flaggers were present to help direct pedestrians and traffic on both sides of the street. Police say the bicyclist ignored both the flaggers and electronic arms, continued onto the tracks and was hit by the oncoming train. The man died at the scene. Tuesday’s collision was the fifth fatal collision on BNSF train tracks in Washington state this year. Most bicyclists are well aware of the dangers of riding a bike and take precautions to prevent accidents from happening. But the unfortunate reality is that accidents do happen, and the cyclist is often seriously injured or killed. If you or a loved one has been involved in a bicycle collision, you may need help navigating the insurance claims process. While you may assume that the insurance company will pay your medical bills, this isn’t always the case. The more severe the accident, the harder the insurance company will push back on paying for that treatment. Having an attorney handle your case gives you the peace of mind that your legal rights are being covered and your compensation is being maximized. All you have to do is rest and focus on your physical and emotional recovery. The experienced and knowledgeable bicycle accident attorneys at Davis Law Group offer free case evaluations to discuss your bike crash and explore your legal options. These are always free and always confidential. And if we do take your case, you owe us nothing unless we win a settlement for you. A bicycle collision can be a frustrating and painful experience, especially if it wasn’t your fault. 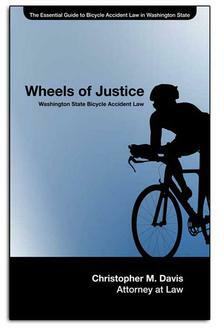 If you’ve been hit by a vehicle or someone else caused you to crash while on your bike, please contact Davis Law Group now. Call (206) 727-4000, use the chat feature below or fill out the form on this page to get started.